"Poem for my human lover" is about an android named "2095", a beautiful combination of both male and female. 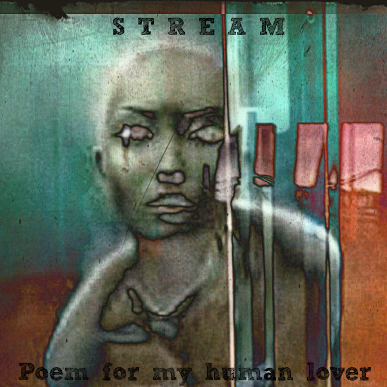 Each track is a stanza of the poem that 2095 is reading to it's human lover. This album takes the listener on an emotional and highly visceral journey through the mind of a tender and vulnerable android. Though 2095's poetry we become acquainted with an otherworld/futuristic landscape as well as the rich inner landscape of the fluid and intricate mind. 5. Is there a future for us?